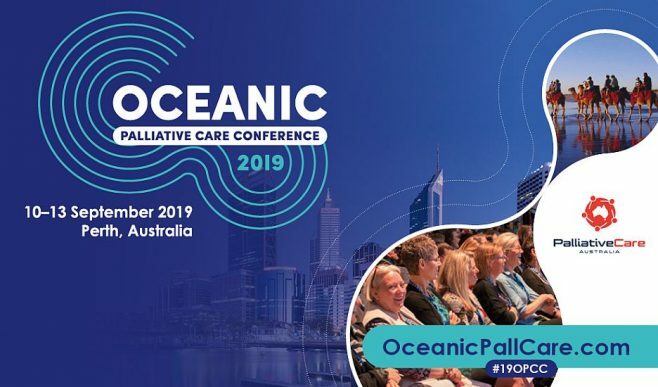 Palliative Care Australia is hosting the 2019 Oceanic Palliative Care Conference in Perth from 10 – 13 September in Perth. Good news – members of Palliative Care NSW are being offered an exclusive discount of $200 off the cost of registration. If you are not currently a member, or you need to renew your membership to Palliative Care NSW, click here to join for 6 months for only $48. Student and volunteer memberships are even cheaper at only $22. The theme for the inaugural Oceanic Palliative Care Conference is Universal Access: Oceans of Opportunities. The theme will allow for exploration of palliative care as a human right and what can be done to ensure people from underserved populations can access palliative care and have their pain and other symptoms managed at the end of life. The conference will promote the concept that palliative care should be available to everyone, regardless of their location, age, income, diagnosis, prognosis, gender, sexual orientation, social background or cultural origin. The World Health Organisation (WHO) lists palliative care as a human right to health but currently worldwide only 14% of people of people who need palliative care receive it. By bringing people from across the globe together for three days of thoughtful, inspiring and practical discussions, delegates will leave armed with information and resources to improve palliative care in their regions. The program will present multiple issues and a diversity of voices from many disciplines. It will be designed around the a number of focus areas, all linking back into the overall theme of the conference, Universal Access: Oceans of Opportunities. Registrations are now open. For more information or to register for the conference click here.